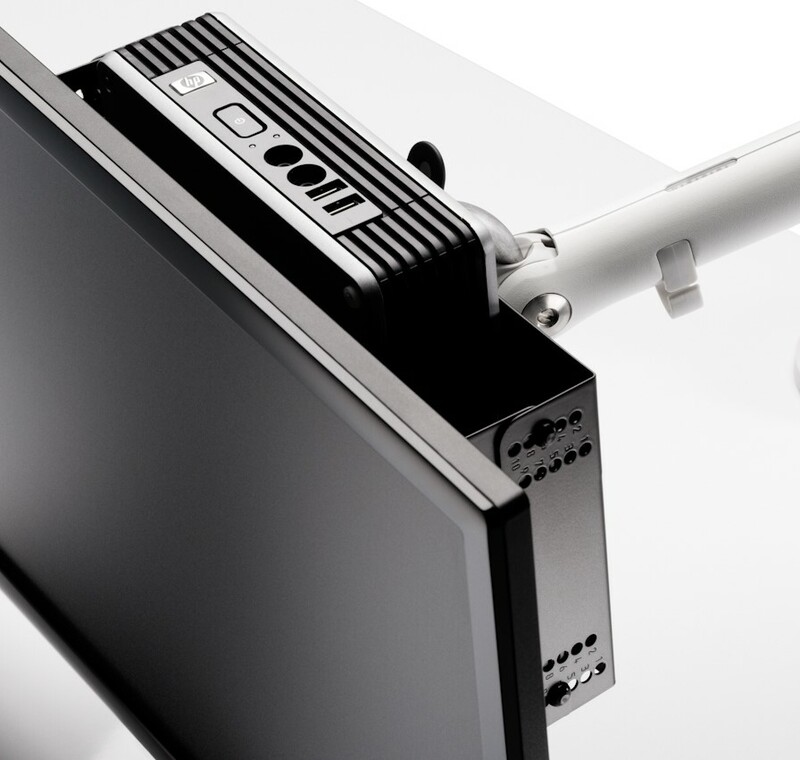 Jaw is a stylish CPU holder that has a sleek aluminum body to securely clamp and suspend the CPU under a desk, creating the illusion of it floating suspended under the desk. 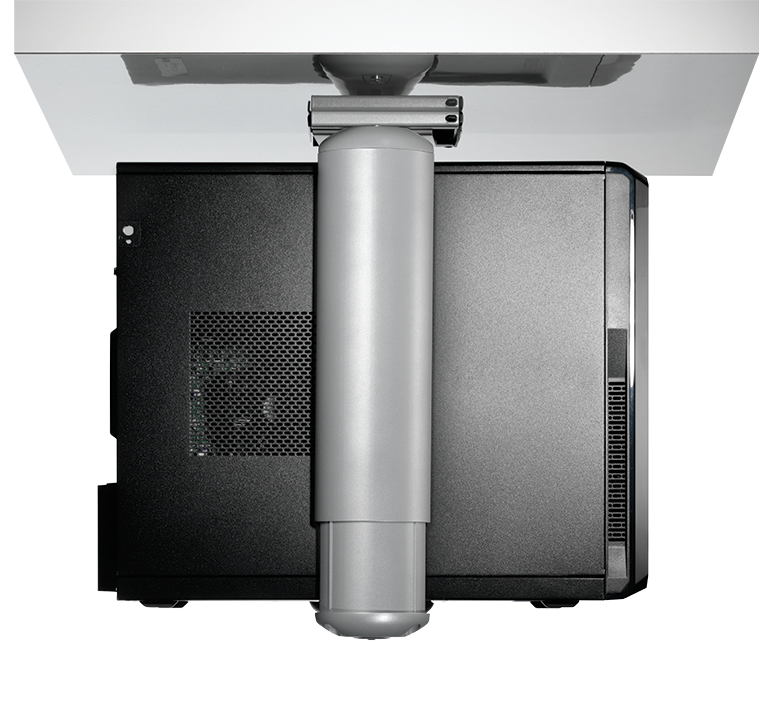 When combined with one of the CBS CPU fixings, Jaw can rotate 360° to provide easy access to cables. 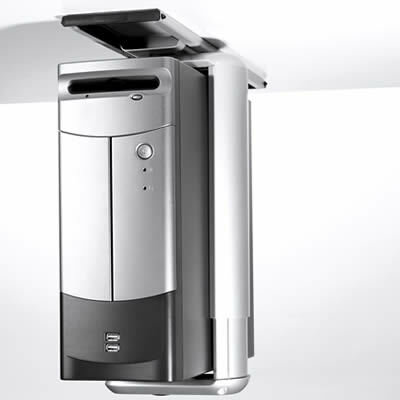 The Slide and Rotate fixings also allow the Jaw CPU holder to be pushed along the bracket runner to either push the CPU further under the desk, or brought forward for easier access from chair level. Fully adjustable to fit various CPU sizes. 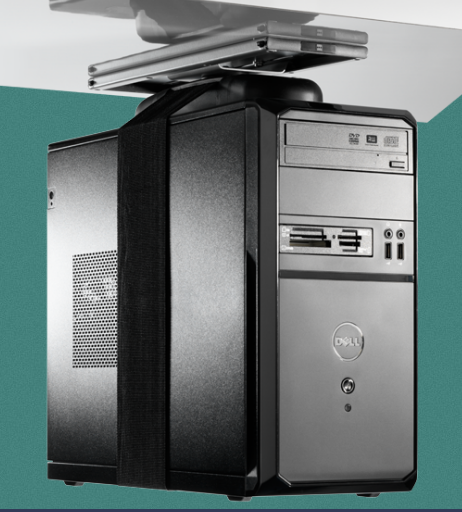 Fits to underside of desk allowing CPU to ‘float’ for improved aesthetics. 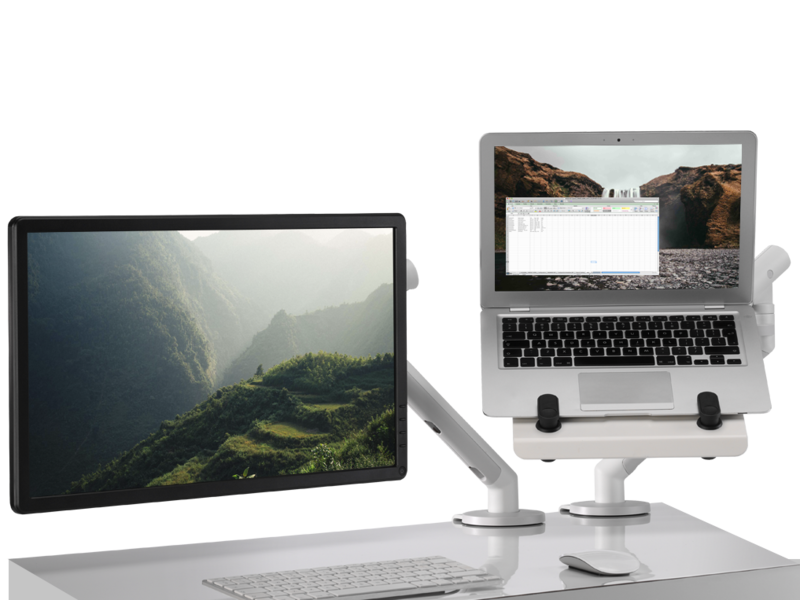 Visually elegant, it improves workspace ergonomics.